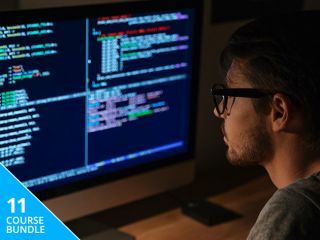 Master code skills with this $29 bundle. With this bundle, you'll learn how to create data structures and algorithms that will pave the way to building engaging websites. You'll also learn how to use the programming language to write functional and user-friendly web apps. You'll dive into the the art of developing cross-platform mobile apps, and you'll even touch upon concepts from Angular 2 and Vue.js 2. By the bundle's end, you'll have worked your way through knowledge it takes semesters to build in a four-year university course. And you'll have done it all for only $29 – 96 per cent off the regular price of $922.